...to honour our fave food. Apparently, today is National Chocolate Covered Anything Day. On this historic day, anything goes - as long as it's dipped, smothered or made completely of chocolate. Truth be told, there is no historical declaration for this day of giddy celebrations. Looks like some candy man just made it so. My question is, why is there just ONE day set aside for such an important ingredient in our lives? 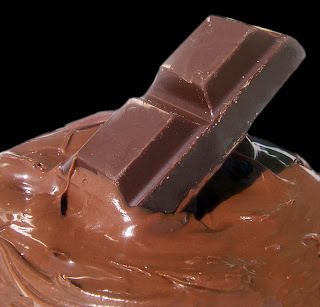 In my house, it's national chocolate day (and never mind this "covered" business) *every* day! Care to agree? SNAP! Should have read this in the AM! I may have to celebrate late or perhaps just through the rest of the year. . .